Evelyn Gruber, an Austrian native, has 20+ years of experience in the golf travel field both as a golf travel writer and a golf tour operator. As part of her duties as the owner of Austria’s largest Golf Travel Agency, she traveled the globe experiencing and rating golf destinations for her upscale golfing clientele. Gruber is most likely one of the best traveled living golfers in Europe, having played more than 2000 courses in 50+ countries in Europe, Australia, North America, Africa and Asia, including most of Golf Digest´s Top 100 Ballot Courses outside the US and Rolex 1000 Ballot Courses worldwide. In addition, Gruber has been writing for the travel section of various German-language golf magazines for many years based on her firsthand experiences. She published numerous features, reviews and golf travel articles in major golf magazines, such as Extra Golf, Golf Revue and Albrecht´s Discover Golf. Additionally, Gruber has written extensively on golf destinations for golf brochures and other promotional material. Even though she has always been very passionate about writing – something that she probably inherited from her father who was in the media business all his life – she was very limited in her time to focus on golf journalism until she sold her golf tour operator business in Austria in early 2008. Since then Gruber has not only written about golf destinations but she has also reported on major golfing events such as the PGA Show in Orlando, several of the Majors and The Players to various European golf publications. In 2010, Gruber completely revised the Albrecht Golf Guide’s 200 page “Golf Guide Italy,” and contributed numerous articles to the “Golf Guide Austria.” Albrecht Golf Guide is one of the biggest and most renowned publications in Europe. Gruber´s latest book Golf Travel Marketing will be published shortly. Today, writing about golf travel has not only become an important part in her life, but also an effective tool in Gruber´s consulting business. As the President of Golf Travel Consulting, Inc.® Gruber writes golf travel articles as a valuable component of an effective strategy for golf resorts and golf destinations to penetrate new markets or increase market shares. Clients of Golf Travel Consulting, Inc.® include golf destinations and golf resorts in Europe, North America and Asia, such as Florida´s First Coast of Golf, Golfasian Thailand, North Cyprus, Golf PEI and Mazatlan, just to mention a few. 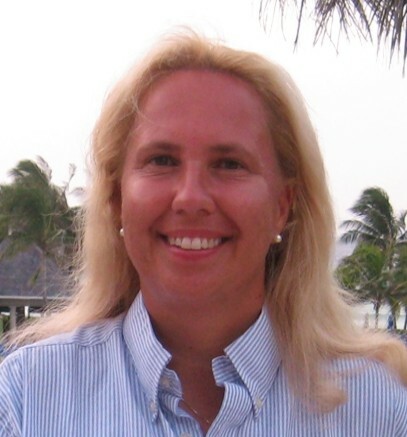 Due to Gruber´s vast knowledge of golf travel and her extensive experience as a golf travel specialist, she also assists IAGTO (International Golf Tourism Organization) golf tour operators/agents to expand their destination knowledge through Online Destination Training and special seminars. As one of the longstanding members of IAGTO, Gruber is called upon as a public speaker at International Golf Travel Trade Shows and Conventions, such as the IAGTO European Convention in Prague (2010) and the North American Convention in Pebble Beach (2011). Gruber holds two Masters Degrees in Sports Management and English from Karl Franz University in her hometown of Graz and completed an additional education in Business Administration, Business Strategies and Marketing. Since selling her business in 2008, Gruber lives both in the States and in Austria; enjoying the Austrian summers and Florida winter golf weather when she is not flying around the world working with international golf destinations to increase their golf tourism business. Gruber is a proud member of the IGTWA (International Golf Travel Writers Association) and the GWAA (Golf Writers Association of America) as well as the IAGTO (International Association of Golf Tour Operators).